I got caught out one time when on holiday with my husband’s family. We were staying in a holiday cottage and I learned mid morning that 26 people were descending on us for a meal that night. Not only was I flummoxed as to what to feed them, I was thrown by timings, we agreed on 7pm but some members were stuck on a sand bank and unable to make it till 9pm so I kept topping up my apple sauce and lowering the heat until I had a firm time. My kitchen equipment was also sorely lacking and there was a lot of make do and adaptation before we served this very basic meal to a really quite appreciative family. 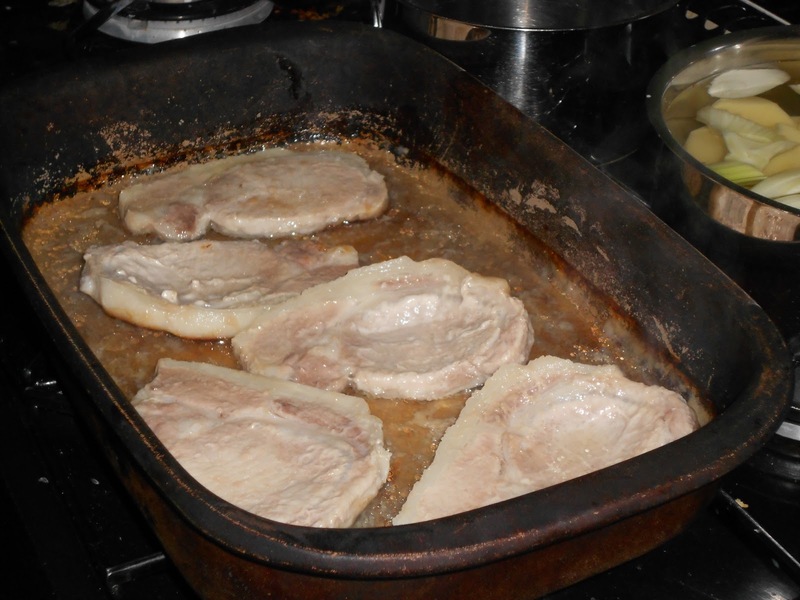 Lay the pork chops in a flat dish and cover with plenty of apple juice. Bake in a medium oven not allowing the apple juice to run dry, turning occaisionally. Half an hour before eating add jar / soup to the dish and stir gently, turn heat up on oven. Don’t let meat dry out. 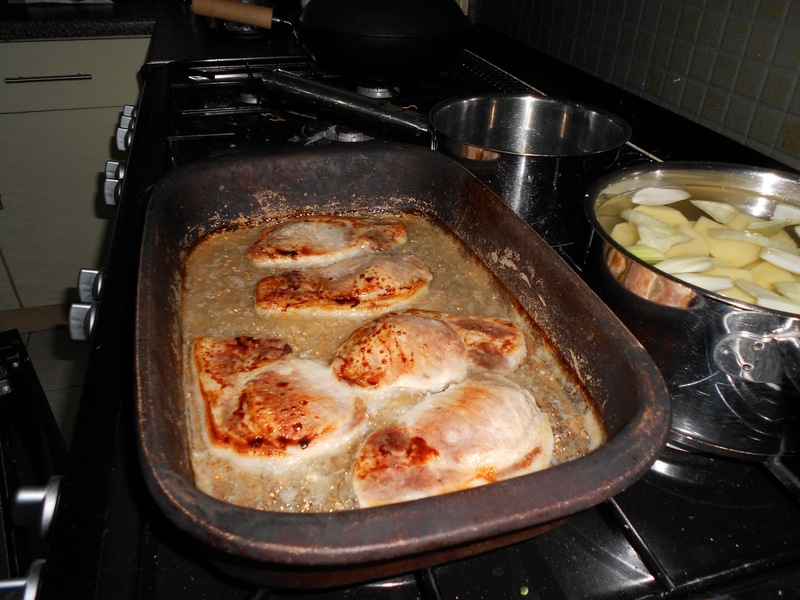 Serve with mashed potato and veg of your choice. Carrots or green veg add a great splash of colour. On my return home I have varied this in different ways including, sprinkling dried wild mushrooms in as I added the soup. 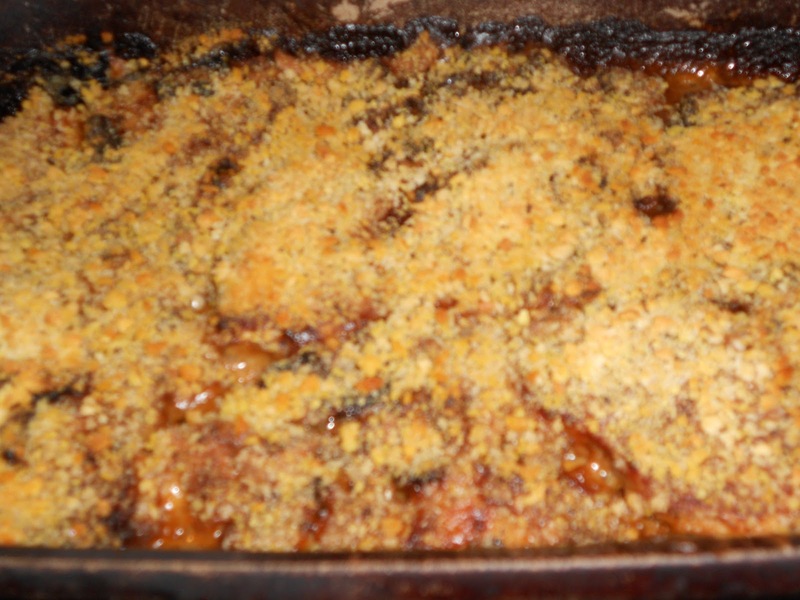 Also making a breadcrumb crust can add additional crunch. I have discovered on particularly lazy days that Waitrose sell different crusts in little tubs. Fabulously easy, looks and tastes a million dollars.